The 2015 Jeep Wrangler Unlimited is the SUV that needs no introduction; it's a Jeep Wrangler, and that means it's rugged, spacious, and all-around awesome. If you want a Jeep as awesome as you are, get on into Sulphur Springs Chrysler Dodge Jeep Ram and let our awesome team show you the Wrangler Unlimited's newest features. No matter how you option it, the Jeep Wrangler Unlimited is a formidable off-road vehicle. Even on the entry-level Sport models, you get creature comforts like air conditioning, cruise control, tilt steering, and an eight-speaker audio system with steering wheel controls, CD player, and an auxiliary input jack. Select the Power Convenience package and get power windows and locks and keyless entry. Select the Willys Wheeler package for off-road goodies like a limited slip differential, rock rails, and special trim and "Willys" badging, plus tinted windows. The Connectivity Group comes with Uconnect infotainment with voice commands and Bluetooth. Move up to the Wrangler Unlimited Sahara and standard equipment includes 18" alloy wheels, heavy duty suspension, 110-volt outlet, and tinted windows. The off-road king is the top-level Wrangler Unlimited Rubicon, which comes with special B.F. Goodrich off-road tires, lower axle ratio, upgraded Dana 44 front axle, upgraded transfer case, and electronic locking differentials in the front and back axles. There is also a Rubicon Hard Rock special package with unique trim, bumpers, and hood; plus heated leather seats and an upgraded Alpine sound system. Wrangler Unlimited models have tons of individual options available as well. Some notable ones are the removable hard top and premium soft top, a step up from the standard version. Many off the off-road options can be added to any Wrangler Unlimited without a package, like the lower gear ratio or the limited slip differential. Every 2015 Wrangler Unlimited comes with a 3.6-liter V6 with 285 horsepower, enough to take on any weekend warrior adventure. Available drivetrains include a six-speed manual and a five-speed automatic. 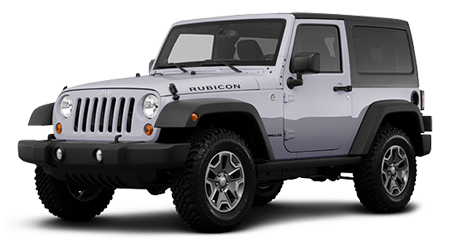 Four-wheel drive, with a low range transfer case is standard, with Rubicon models getting a variant with an extra-low crawl ratio. Four-wheel anti-lock disc brakes are also standard. Other safety features include stability assistance and traction control, plus hill start assist (and descent control when equipped with the automatic transmission). If you have a need to go where no other vehicle can go, you need a 2015 Jeep Wrangler Unlimited. Go to Sulphur Springs CDJR, just minutes from Tyler, Greenville or the rest of Hopkins County, TX, and let us wrangle up a deal for you.